Want to protect your precious iPhone from scratches or dents? You can either get a leather case or a silicone case for that. 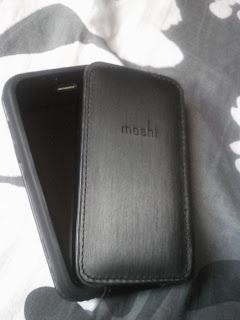 But if you want to go overboard and get both Moshi's Concerti iPhone case is for you. The Concerti iPhone case is a leather flip case with a silicone case inside. There's also a handy screen wiper attached to the flip case. Design-wise, the leather flip case is very stylish on the other hand, the extra protection of the silicone case adds bulk to your iPhone so when putting it in your pocket, expect to see a big bulge. 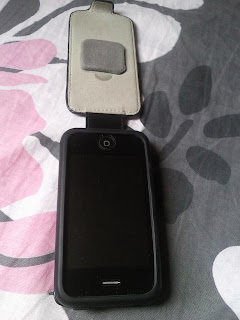 As for the protection offered, well, I haven't really had the guts to drop my sister's iPhone 3G with the Moshi Concerti on. Anyways, but if you're really, really, REALLY paranoid, why not add an invisible Shield to your iPhone like what my sister did (pic below). One word: Overkill.